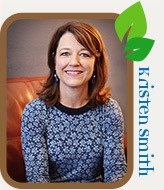 Founder and Clinical Director Kristen Smith has been helping hundreds of people from all over the Phoenix area for over 15 years. 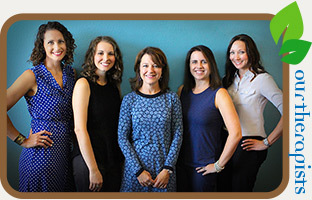 Located in the North Phoenix/Scottsdale area, our licensed therapists have a variety of specialties including individual, marriage, family, addictions, adolescents, and children. It has been our privilege to work with a wonderfully diverse clientele who have experienced various life stressors such as depression, anxiety, trauma, relationship challenges, personal growth issues and addiction. The therapists at Living Hope Counseling focus on relationships and how we interact with people in our world. We have the ability to connect to our clients of all ages including teenagers, young adults, couples at various places in their relationship, and families. Our counselors have special training in trauma and abuse, addiction, and couple's therapy. We also work with other life changing issues such as anxiety, depression, grief and loss, and personal self growth. For more in depth information about these and other therapeutic services, please click here. Living Hope Counseling serves the entire State of Arizona and the Greater Phoenix area, including Glendale, Sun City, Surprise, El Mirage, Peoria, Lichfield Park, Avondale, Buckeye, Tolleson, Paradise Valley, Scottsdale, Cave Creek, Carefree, Tempe, Mesa, Gilbert, Chandler, Ahwatukee, Anthem, and New River. We provide couples counseling, marriage counseling, family counseling, individual counseling, addictions counseling, and provide help for issues such as depression, anxiety, trauma, abuse, grief and relationship challenges. We provide Christian Counseling, but not exclusively, as we are trained to provide therapy to persons of any and all belief systems. ©2017 Living Hope Counseling. All Rights Reserved. Website design by Mike Rebel Design.